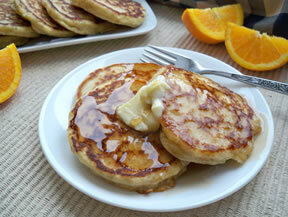 A hearty and delicious pancake that will entice the entire family to rise and shine for an early breakfast. In large mixing bowl, pour milk over oats, let stand. Stir in eggs. Mix dry ingredients together in separate bowl, then add to milk mixture. Stir until all dry ingredients are mixed in; stir in oil. Cook on hot griddle and enjoy! 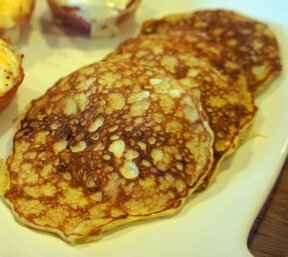 Serve with your favorite pancake topping. 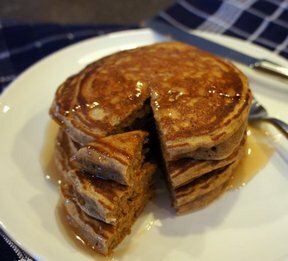 "I like to make pancakes for breakfast on the weekends so I am always looking for different recipes. This one looke pretty interesting so I tried it a few weeks ago. 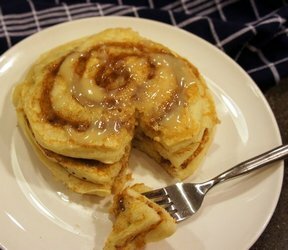 I made them again this last weekend because we liked their flavor and texture. They were firm but still tender."